Certified Naturally GrownThis certification means we do not use synthetic herbicides, pesticides, fertilizers, antibiotics, hormones or genetically modified organisms. In the communitybuilding strong and healthy communities.We are committed to identifying and implementing effective programming activities and processes that will help create healthy communities. 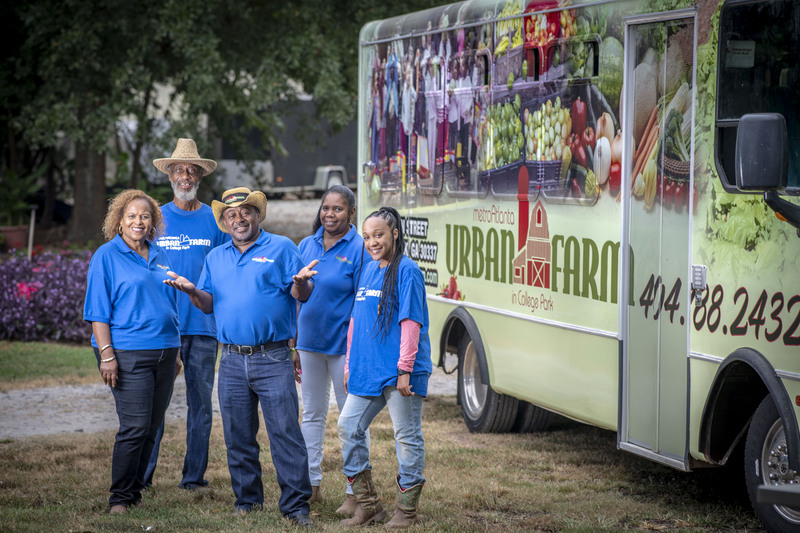 Metro Atlanta Urban Farm (MAUF) CEO Bobby Wilson established Metro Atlanta Urban Farming (MAUF) in 2009 to address the growing need of affordable food in low-income communities. His five-acre plot of land in the hear of College Park, Georgia is just minutes from downtown Atlanta. With the help from U.S. Department of Agriculture (USDA) Natural Resource Conversation Service (NRCS) and Farm Service Agency (FSA), MAUF was able to address the resource concerns of the land, the education gap of the farm for the community, and provide financial assistance where needed. At Metro Atlanta Urban Farm we believe everyone deserves access to affordable high quality produce. Our certified naturally grown produce is grown and harvested with care by the hands of staff and volunteers who support an equitable food distribution system. We provide gardening and agricultural training to ensure families learn to feed themselves and to create future generations of urban agriculturalists. Welcome to our Farm. We invite you to explore, learn, eat and grow with us! At Metro Atlanta Urban Farm, we believe EVERYONE should have access to affordable fresh produce grown free of synthetic pesticides and fertilizers. 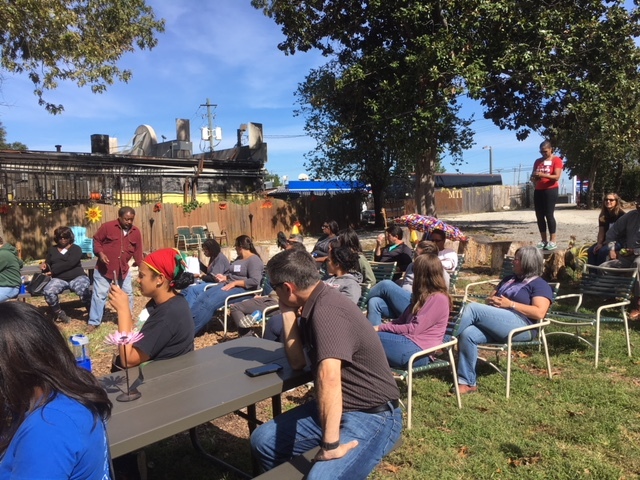 Our mission is to reduce barriers to healthy living in urban communities by encouraging, promoting and supporting health education and sustainable high-quality low-cost agricultural production through gardening and farm training. Most important our goal is to feed you well! We invite you to visit our community and experience urban farming at our 5 acre facility located in College Park! Metro Atlanta Urban Farm is a community-driven organization and our survival depends on the support of our volunteers. Metro Atlanta Urban Farm depends solely on donations, grants, and program revenue. Help make a difference by donating. To see how your donation will support the farm, visit our Donor Guide Booklet. 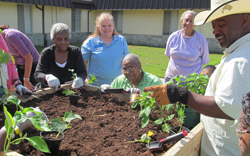 We work with seniors to help them increase their physical activity and provide access to affordable produce through gardening.